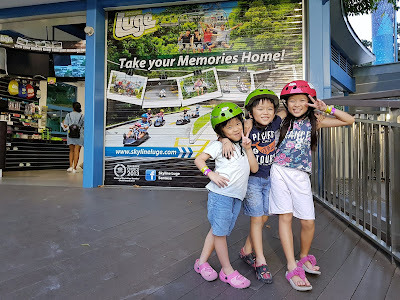 We are no strangers to the ever popular Luge rides at Sentosa and had played there with my own friends more than a decade back. 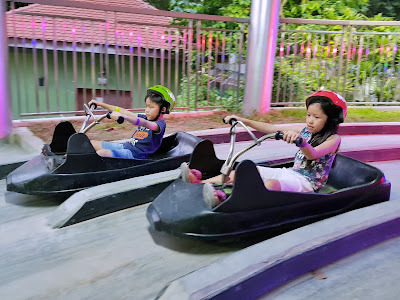 Now that we are parents, our own adrenaline-junkie kiddos are loving these rides as well and would constantly ask me to go faster when they are seated with me. 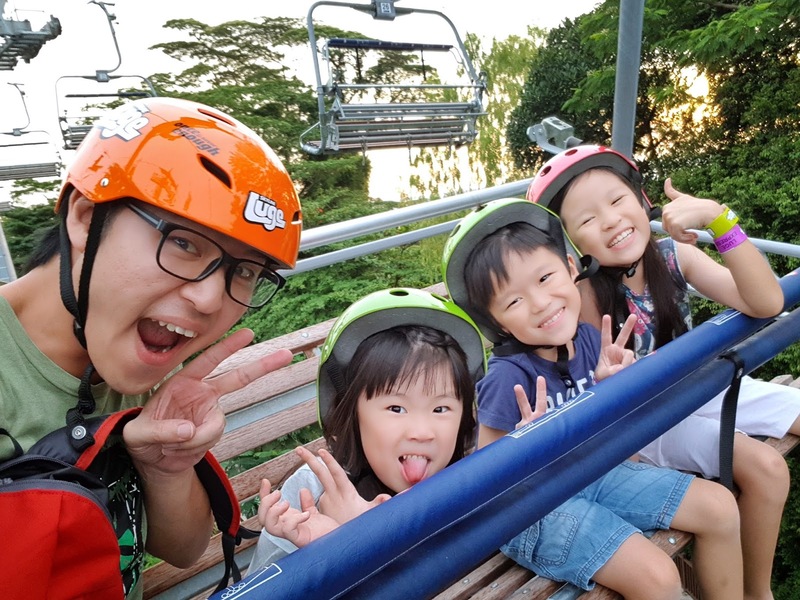 Oh and they really enjoy the skyrides as well, taking in the sights and enjoying the breeze as we hover over the tracks. 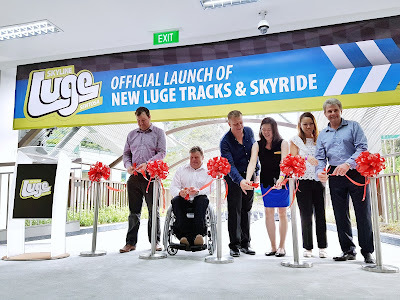 We were invited over for the official launch of their 2 new routes, as well as the start of another skyride system, which explained the high cost of $14million in this round of upgrades. I had seen for myself how the queues for the rides can extend beyond the comfort level of Singaporeans and visitors alike at times, especially in our hot and humid weather. Hence with this new skyride, waiting time would effectively be cut by at least 50%. A good move I would say. 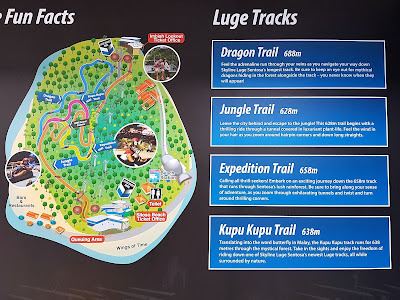 There used to be only 2 tracks for the Luge rides, namely the Dragon and Jungle trails. 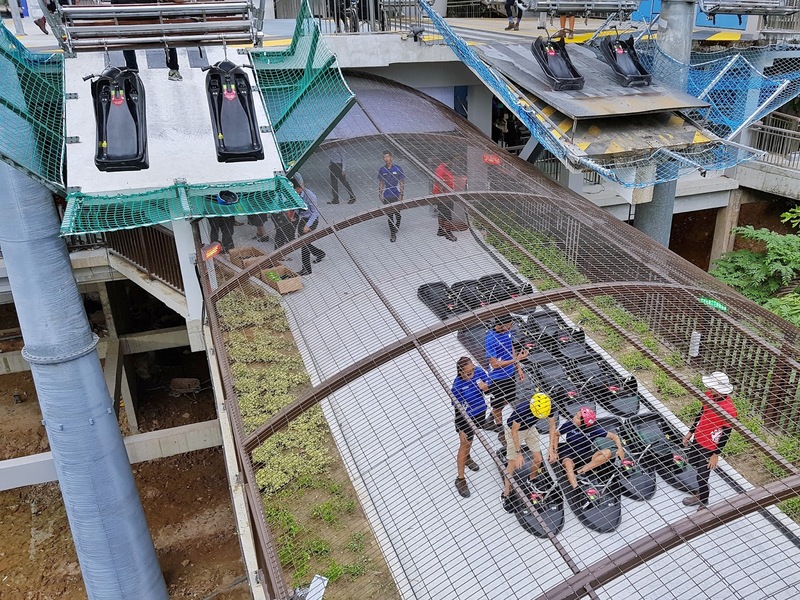 This meant that riders would minimally try out both to have a full experience of the place. Now that 2 new trails, Expedition and Kupu Kupu had been added, I assume that riders would want to try out all 4 routes. I knew I would. So yup, it was another great move and from now till end of the year, Singapore citizens and permanent residents can enjoy $3 off for four luge and Skyride rides, which would normally cost $28. B) Turn left at the first fork, right on the second fork and right again at the third fork for Kupu Kupu trail. So there you have it. 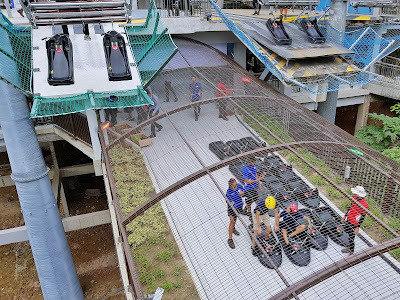 2 new routes and one more workhorse (Skyride) to carry the weights of human riders and luge vehicles up the hill. It's really a no-brainer that once is NEVER enough. The question is, how fast should you go? 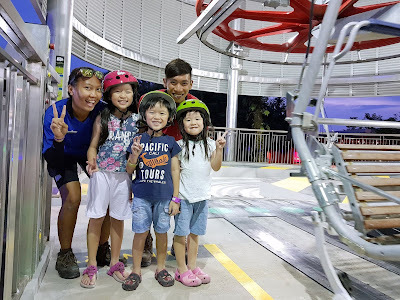 Adrenaline junkies will finish the ride in less than 2 mins while those who want to make it worthwhile will go slow but never get the high from the possible speeds! You choose, or try all the routes twice! 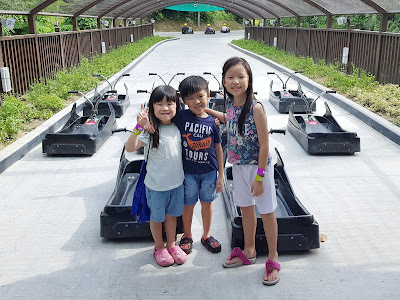 Thank you Skyline Luge Sentosa for inviting our family over and also for taking care of the local charities and community organisations.by setting aside $15,400 worth of tickets for them. We will be back for more and we look forward to your new attraction too!